7 entries categorized "Advent Calendar"
Essentials by Ellen Holiday Release 2 & Giveaway! Hello, and welcome to the Holiday II Essentials by Ellen Release Hop! I’ll be showcasing several of the new stamp sets and dies on my post today (and so will a lot of very talented designers!) ... AND there's a giveaway, so keep reading! 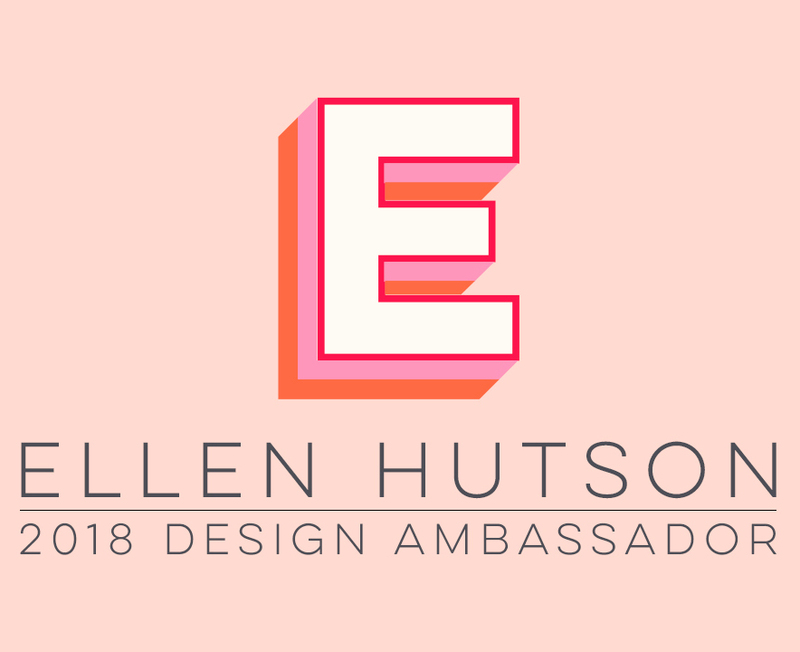 I get to give away an Essentials by Ellen stamp set -- the winner may chose ANY Essentials by Ellen brand stamp set (maximum value $15) currently in stock at Ellen Hutson.com! To enter my giveaway, please leave a comment on today’s post with a valid email address by October 27th! (This giveaway is now closed and the winner will be announced Friday, Oct 30 over at the CLASSroom blog). Thank you so much for your very kind comments and for entering! There is also a crazy good Grand Giveaway in the CLASSroom! To enter, be sure to leave a comment there, also by October 27th with a valid email address. Winners will be announced at the CLASSroom on Friday, October 30th! The fronts of the envelopes were stamped mostly in Memento Tuxedo Black with Julie's darling new Santa's Flight stamp set. The Santa and reindeer are a separate stamp from the Special Delivery info -- I just lined them both up on an acrylic block together and that made it easy to stamp them all at once. I omitted inking the slashed lines with black ink and inked them separately with Memento Rhubarb Stalk marker. I used We R Memory Keepers Envelope Punch Board, using the first 2" x 3-1/2" gift card size and used Neenah Desert Storm and Solar White, and Bazzill Peppermints cardstock. You could put a variety of different things in these little envelopes -- Bible verses, encouraging notes, money, flat ornaments, fun family holiday activities to do together (caroling, build a snowman, bake cookies, drink hot cocoa while watching your favorite holiday movie), clues to find little gifts around your house, etc ... the possibilities are endless! I chose to fill the envelopes with these cute Christmas jokes for kids free download printable I found HERE. I figured a fun pun-y joke is a good way to start any day of the holiday season (for any age)! I just printed the jokes onto Neenah Solar White cardstock (80 lb), cut them apart, and put one into each envelope ... they are the perfect size! Julie's previous existing Christmas Scribbles stamp set now has convenient coordinating Christmas Scribbles dies ... and I utilized a lot of them on this watercolored card! The background was watercolored with Tumbled Glass Distress Ink on watercolor paper. I stamped the pine branches in lighter Evergreen Bough Distress Ink over the watercolored background, then stamped the branch again on watercolor paper using darker Pine Needles Distress Ink and die cut it. Next, I used a waterbrush to go over the stamped pine image and spread the color around a little, to achieve a lovely watercolored look. I did the same with the little pinecones (stamped in Gathered Twigs Distress Ink) and red flower (stamped in Festive Berries Distress Ink) -- which I'm sure was probably intended to be a snowflake but I think it also works as a flower! The pine cones and flowers were also die cut and all the die cut images popped up on X-Press It Foam Tape. To finish the card, the watercolored panel was attached to a top folding Neenah 110 lb Solar White card base using X-Press It 1/2" Tissue Tape (it is super strong, to hold the heavier watercolor paper and keep it from buckling). The little snowflakes were stamped in Tumbled Glass Distress Ink and Clear Wink of Stella glimmer added to the pine branch, pinecones, and flower centers. The sentiment was stamped with Versafine Onyx Black into onto more watercolor paper, cut into a banner shape, popped up on foam tape, and the "merry" word watercolored with Festive Berries Distress Ink. Next on the hop is the amazing Karolyn Loncon! If you get lost along the hop, please visit this CLASSroom blog post for a complete list of all the designer links. The Design Team for Gina K Designs welcomes you to another fabulous Inspiration Blog Hop! Gina and the Design Team will inspire you with many beautiful ideas and as you hop through their blogs, make sure to leave a comment on each of them because we will choose a few random comments and those stampers will each win a grab bag of Gina K Designs products! To see the full list of winners check the Big News Forum at StampTV a few days after the hops. Today’s featured stamp sets are Beyond Baskets 2 and Christmas Joy. With both of these great holiday sets, I decided this year’s installment of Advent tags were in order! I decided to keep the tags monochromatic -- I love the look of red and ivory for the holidays! Generic details about all the tags are listed at the bottom of this post. 18 - I altered the box bottom just a little, by giving it a corner (just drew the vertical line with a Copic Red Atyou Spica Glitter pen) and trimmed off a little of the box lid on the right side so it would fit on the tag a little better. The sweet little tag in this set was popped up on foam tape and tied with red baker's twine -- I love all the little sentiments that fit in it! All such great images, with beautiful coordinating sentiments! I guess this means I have to finish the other 17 tags now, right? :) Look for those in the coming weeks . . . thank goodness it's not even Halloween yet! Tag 12 - I used Gina K Designs Lots of Letters by Melanie Muenchinger to make this Game Nite tag out of faux Scrabble tiles ... such a fun set! I stamped the tile squares and letters with Memento Rich Cocoa ink onto Gina’s Ivory Layering Weight Cardstock and added the numbers with Copic Chocolate Atyou Spica Glitter Pen. Then I punched them out with a 3/4-inch square punch and popped up with Copic foam tape on the Sandy Beach cardstock tag. I used my Scor-Buddy to score a "game board" on the background. The star center is also from the Lots of Letters stamp set, stamped in Memento Rhubarb Stalk ink. Everything was adhered to an Ocean Mist tag. Tag 17 - "Let not our hearts be busy inns that have no room for Him" -- beautiful sentiment and Bethleham silhouette is from Gina K Designs' current Merry Little Christmas StampTV Kit. I also used the City of David coordinating Silhouette cut file on which to stamp the city, with Memento Rich Cocoa ink. The sentiment was inked with Memento Markers in Rich Cocoa, Summer Sky and Rhubarb Stalk; Ocean Mist tag. You can find more details about previous individual tags in these blog posts: Advent Calendar Tags One, Two, Three, Four, and Five. The tag bases were made with Gina K’s Sandy Beach Heavy Weight cardstock (I love the warm cream color, not as dark as kraft), layered onto mats of Gina K’s Winter Whimsy Cardstock Assortment (Fresh Asparagus, Red Hot & Ocean Mist). I used a free Silhouette tag cut file that came with my machine, to cut the tags (sized 2.75” x 4.25”). To make the tags a little easier to assemble, all of the numbers were punched (1” circle) out of LilyBee Design 6x6 Tiny Tablet-Christmas Cheer patterned paper, but you could easily cut them with your Silhouette or use chipboard or sticker numbers. The numbers were matted with either Red Hot or Fresh Asparagus punched circles (1.25” circle), layered onto a scalloped circle punch (1.50”). -Take each child out Christmas shopping individually for the other members of the family and treat them to lunch or dinner alone with you at the place of their choice. -Stay in for the evening and enjoy the lighted decorated house and bake cookies. -Take the whole family on a nature walk and enjoy/appreciate all the Winter season has to offer. All of the tags are secured by small wooden clothespins, which hang from floral or picture hanging wire that I stretched across the back of an open picture frame and is secured by picture hanging eye screws. The inside of the frame opening measures 11.50” x 17.50” and this was just an old recycled frame that I spray painted red. The top row of clothespins were hot glued to the frame. Each day a tag is removed from the Advent Calendar frame and placed on a small Christmas tree as decoration, with the Advent activity (printed on the back of the tags) facing forward. Once the activity has been completed, the tag is turned around so the front is showing. And yes, #18 and #19 are the ones still incomplete! I promise to finish those and show them to you next week! Thanks so much for stopping by and for all of your wonderful comments the past two months I've been making and sharing this project!